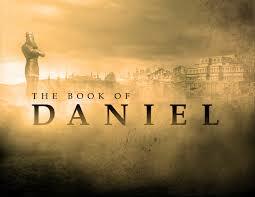 In effect Daniel is all about one prophecy. The prophecy is given in chapter two and has to do with Nebuchadnezzar’s dream, which only Daniel could interpret for the king. This dream told of four empires: Babylon, Persia, Greece and Rome. Certainly there were more empires than these, but God is not interested in the world’s great empires per se. He is interested only in those powers that affect his people. God’s chief interest is and has always been in the Jews, even Christianity has not changed that. To be sure, God calls Christians his family, but the point is that God has not cast off his people, the Jews. They are under his discipline. In any case, nearly all of Daniel is about Nebuchadnezzar’s vision in one way or another. All the visions that Daniel had afterward were further amplifications of that single dream. The ten toes (Daniel 2:40-44), for example, are the same as the ten horns of Daniel chapter seven. The four empires described from the different parts of the body of the figure in Nebuchadnezzar’s dream (Daniel 2:26-45) are the same as the four beasts (Daniel 7: 1-28) described later. The Book of Revelation in the New Testament is another book which points to the end times. If one reads both the book of Daniel and Revelation together, one cannot help but believe they are speaking of many of the same things, but each addresses matters with different pictures but the same numbers—seven, ten, and two are mentioned. Nevertheless, Daniel ends with the angel telling him that what he prophesies is for a long way off, but Revelation says the time is at hand. What does all this mean? Is it true that the end times last for nearly 2000 years or is something else meant? I have addressed this question in the studies below. What I claim is not according to what we hear today in the most vocal Christian circles. Nevertheless, even if I am wrong in my conclusion, what I offer here should have some meaning. Too many things fit together to be completely wrong. If you take the time to read, why not leave a comment and tell me what you think. The Temple Was Built by Whose Decree? The 490 Years Begins Here! I disagree with your assessment of the AOD. In Rabbinical literature it was never referred to as the people being swayed or hellenized from Judaism (neither is this evident in any of the verse you have provided), but rather the explicitly erection and desecration of the holy of holies i.e.homage to Zues via a sacrificed pig). Good article nonetheless about the 70 weeks, in that I agree! It ended with Stephen. Greetings Ken, and thanks for reading and your kind words in your comment. Concerning the Abomination of Desolation, I have to disagree with Rabbinical literature. Rather, I believe as it is written in 2Maccabees 4:7-17 and 5:17-20 that, because the priests had neglected their Temple duties (service to God), God had taken away his protection of the nation and the Temple itself. It was the Jew’s own sins of abandoning God that was the abomination that brought the desolation. Moreover, I consider it telling that Rabbinical literature misses this point. Could it be that, because they were blind of their sins at the time of Antiochus Ephiphanes, that they were also blind to their abandoning God by persecuting the nascent Church and thereby brought upon themselves the destruction of their nation and the Temple? I too agree that the 70 week prophecy ended at the death of Stephen (the first christian martyr). Some teach that the latter 3.5yrs after Christ died will occur after the rapture, as portrayed in the popular movie “left behind” but I don’t see any basis for this in the bible. Thank you for reading and especially for taking the time to leave a comment. I agree that it is a modern error that the 3 1/2 years of Daniel’s 70 years prophecy is cut off to indicate the end of our age, just prior to Jesus’ second coming. It is a shame that so many brethren have fallen for this false doctrine, and please don’t get me talking about the “Left Behind” series. They preach fear, and God simply would not leave his children behind. What good parent would leave their children behind–unprotected and uncared for–while they take a vacation? Anyway, I appreciate your stopping by to say hello.